A Home from Home in Windsor, Berkshire – the favourite home of The Queen! 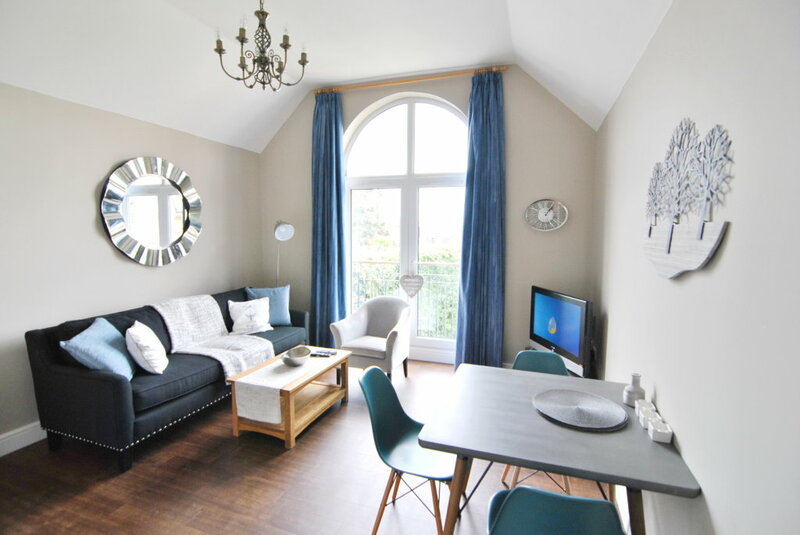 Windsor is only 20 miles from London and Windsor Serviced Apartments are fast gaining popularity with travelers who want a bit more space and independence than your typical hotel room offers. Business travelers really appreciate the potential of an apartment and often think of it as a cost-effective lifestyle choice. The prospect of spending more than five nights in the same hotel room is not one that most business travelers relish. By contrast, staying in a standard rental apartment and having to set up utility bills, Wi-Fi provider, Sky TV and do your own cleaning is equally unappealing. Filling the gap between hotel rooms and rented flats are serviced apartments, which are fast becoming a popular alternative to the traditional hotel offering. It is evident from the number of properties available that this is a growing market, but the demand by clients is still relatively small. Long-stay or regular travelers are already seeing the benefits of staying in serviced accommodation. Statistics show there has been a slight increase in serviced apartment bookings this year compared with last. Part of what drives this increase is awareness that serviced apartments exist. With the growth of the web and the success of search engines like Google, more and more providers are getting noticed and getting on the lists of relocation companies. The downside is that may serviced apartment companies require a minimum 30-day stay and will charge for the full term even if the client checks out early. At Accommodation Windsor Limited we feel that as long as the property is cost-effective, in the right location and can match the clients’ expectations of quality then this should be a successful offering. We offer a minimum one-week stay. The cost of this when compared to a hotel and with two colleagues sharing a two bedroom, two-bathroom apartment could save the company in excess of £1000 per month. Compare that to a typical two bedroom serviced apartment in Windsor at rates from £700 to £800 per week – your company could be saving more than £1600 per month! It makes sense to look at the options for serviced accommodation in Windsor as an alternative to a hotel. Windsor has lots of fabulous attractions on it’s doorstep to keep you occupied. Windsor Castle needs no introduction. Built in around 1070 by William The Conqueror – it is one of the world’s largest permanently occupied castles today. It is well worth a visit – you can walk through the splendid rooms full of history and wonderment and see some amazing sights – like Queen Victoria’s dolls house – complete with working lights and plumbing! The Castle stands proudly on High Street overlooking the Thames river and dominates the skyline. There is an old Victorian train station that used to be the private train for the Queen and this has been turned into a fabulous covered shopping area for your designer labels. 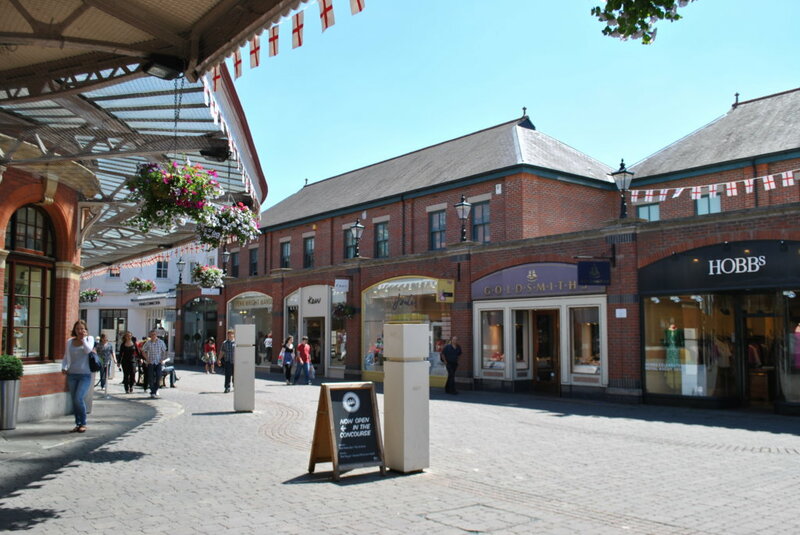 Called Windsor Royal Shopping it has boutique shops aplenty including French Connection, Hobbs, Jo Malone, Pandora, Jigsaw, Phase Eight and many more. The main street through Windsor is pedestrianised and is called Peascod Street which comes from a medieval Pes croft – an area where peas were grown – a staple food in those times. Peascod Street is lined with many delightful shops including Daniels department store, some high-end fashion stores, a few house interiors stores, Boots the chemist, some upmarket beauty products and regular food stalls. There are gift / souvenir stalls around the Castle selling the usual tourist fayre. If antiques, art and jewellery are your bag, visit Eton High Street which goes from Eton Bridge up to Eton College – you will be browsing for hours! 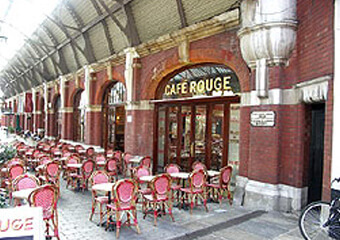 There are some fabulous eateries inside Windsor Royal Station including the famous Cafe Rouge, Bills Diner, All Bar One, Gourmet Burger Kitchen and Carluccios. Sit and watch the world go by – dining al-fesco in summer months and some cosy places to take a snack or have a full course dinner in the colder months. One of our favourite restaurants in this area is Sebastians Italian which is tucked away along Goswell Hill – one of the narrow cobbled streets that runs to Windsor Royal Station shopping area. It is a real treat with some amazing food made in front of your eyes, and a real wood-fired pizza oven! We recommend booking as they get busy! The Station is full of atmosphere and you will enjoy the great number of bars, restaurants and designer shops here. It is just across from Windsor Castle so very central to town and as you walk through you come to Windsor Central station which is a small line that takes you to Slough and back within 5 minutes. Enjoy your visit to Windsor – whether staying for a few nights or a few months, there’s always plenty to do and see. And you can now book accommodation online on our website or contact us for an idea of pricing and availability! We also own a Bed and Breakfast in Windsor called Alma House – with boutique rooms and keen prices – it is perfect for a night or two in Windsor!